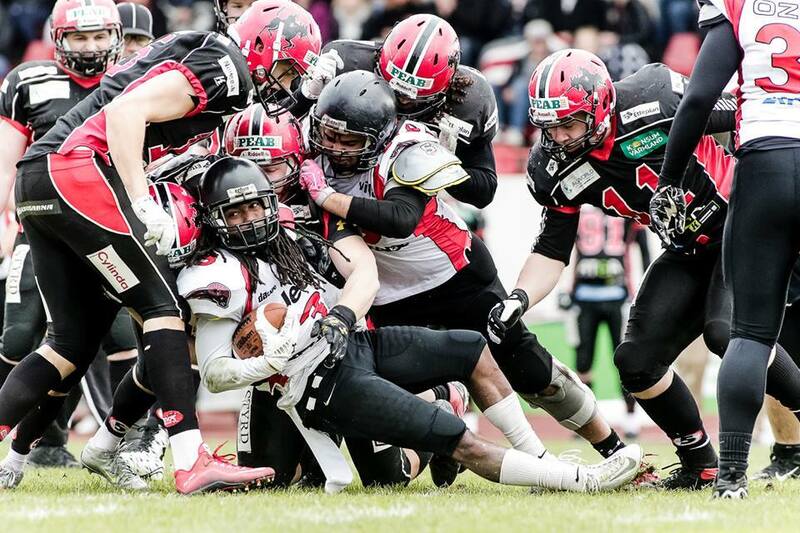 Last week's IFAF Europe Champions League matchup between the current champion Carlstad Crusaders vs debut team Istanbul Koc Rams, took an unexpected turn, where Rams were celebrating in Carlstad. Istanbul's Batur Kaplan said that they wanted to show everyone in Europe that Koc Rams play football - We knew we are a good team and aimed for the highest spot we can go. Mentally we watched soooo many game films of them. To be honest, when you are playing against a high caliber team like the Crusaders you don't need extra motivation, the game itself is enough for it. We were in the zone and ready. Our coaching staff did a great job at analyzing our opponent. Physically our strength&conditioning coaches Faiz Özkan and Taner Ongun did a great job all season long, motivating us and keeping us healthy. Kaplan's favorite moments of the game were of course the touchdowns they scored - It's easy to say Crusaders were by far the best team we ever faced. Defensively, I think our DB's played out of this world. The front 6 was concentrated on the run and we wanted them to pass the ball, to be honest, because they have a great running game. Offensively speaking we have explosive offense and really dangerous weapons. I'm a defensive guy, so I would say their defense did an amazing job also. Score of the game explains itself - it was a defensive battle, we had a shot and we took it. I want to congratulate our HC&OC Brett Morgan, he stayed calm and waited for the right time to come and used it perfectly, he was a true leader and we believed him. 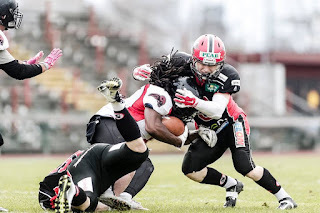 Although there's one more game to be played in the Conference East, between Carlstad Crusaders and St.Petersburg Griffins, however, as Rams already have 2 wins on the table, it's safe to say they are the first known participant of the Final Four. İt's a dream come true! I don't even know how to explain it, we are so happy and proud. We knew we were going to have some impact. To be honest, we always believed in ourselves, but when you are at the same group with last years cup winners you start to have some doubts. Our defense allowed only 2 TD's in 6 games we played this season Our D-coordinator Kasey Crosby is doing a hell of a job! All the teams that will be participating in F4 are great teams. I think every team has 25% chance for the cup. - wraps up Kaplan.